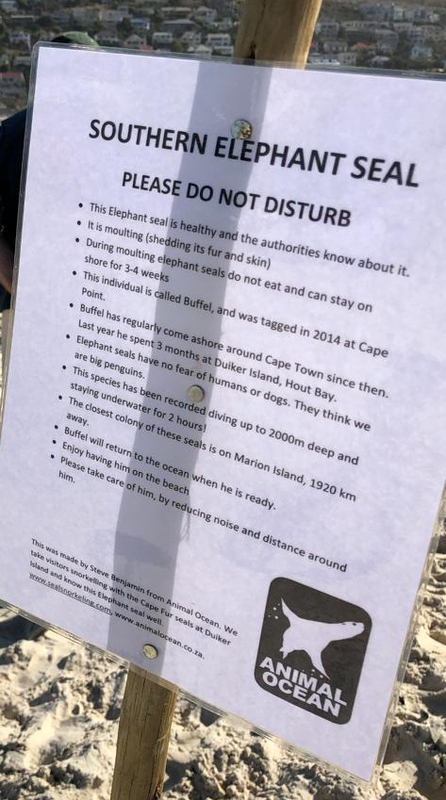 I went and printed two signs about Buffel and Elephant seals in general, laminated and pegged them to a wooden pole. I headed to the beach and placed them next to the resting seal. Some locals were placing kelp around Buffel to give an organic barrier to keep onlookers out of Buffel’s space, but this didn’t really work. Later poles were dug in the sand a loose tape barrier gave some space between all the people and Buffel. The South Easter blew and ripped most of the apart, so a tougher revised barrier was put up and continues to protect Buffel. Buffel not concerned by the humans passing by. 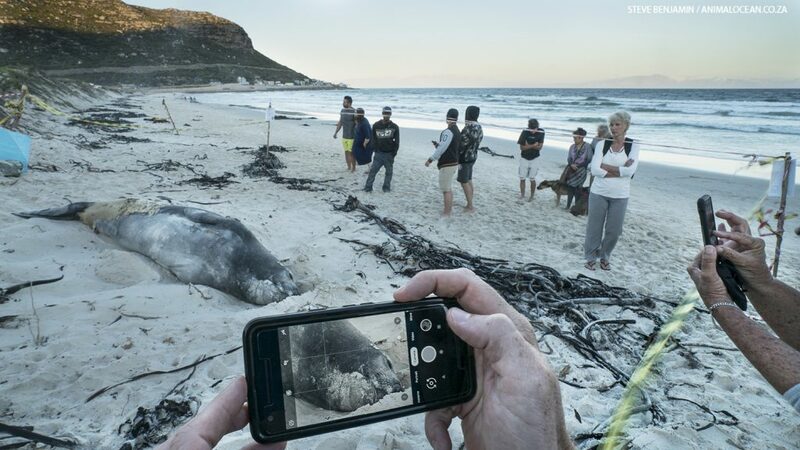 There was still the question of “Why is he here?”… Why has this Elephant seal been hanging around Cape Town and when will he leave. 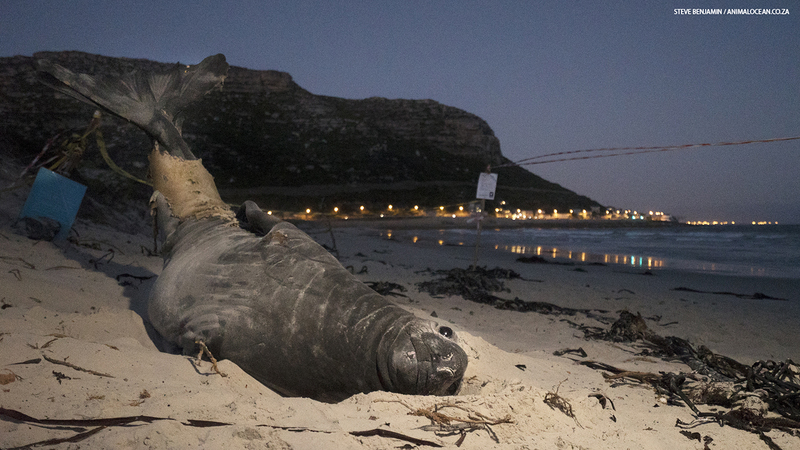 Buffel stretches his hind flippers before settling to sleep for the night on Fish Hoek beach. A small clue in the Buffel puzzle came from Steve Kirkman who messaged me a said “Buffel is probably not from Marion Island, he had no tag. The sealers on Marion tag all the newborn pups. He may be from one of the other Islands.” Here Steve Kirman places the tag (16577) on Buffel in 2014. Steve Kirkman places a tag on the young Buffel in 2014, Cape Point. 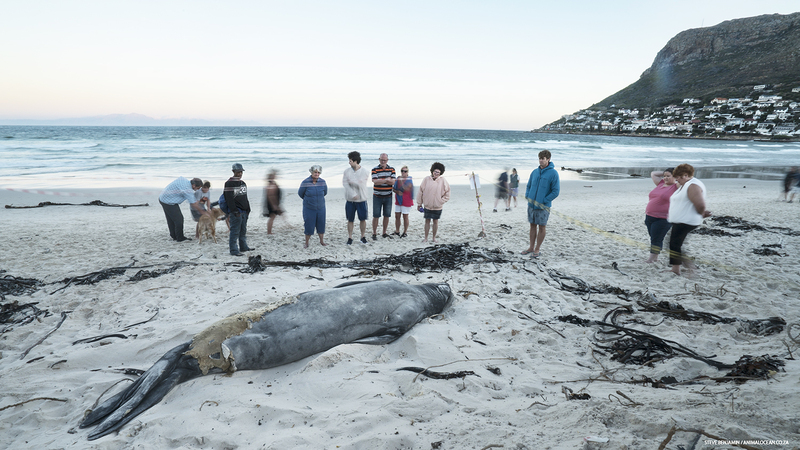 Images were sent to me from Patrick Benade, of a young Elephant seal that was actually born in Cape Point in 2012. 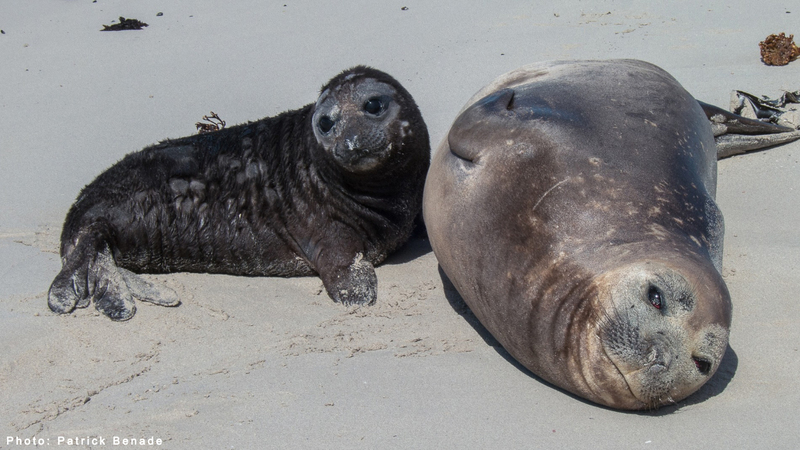 Elephant seals perform incredibly high site fidelity, and most return to their birthplace to moult breed and rest. This could mean that Buffel isn’t lost, that he is truly Capetownian! It’s a theory and there is no hard proof, but it is a possibility. 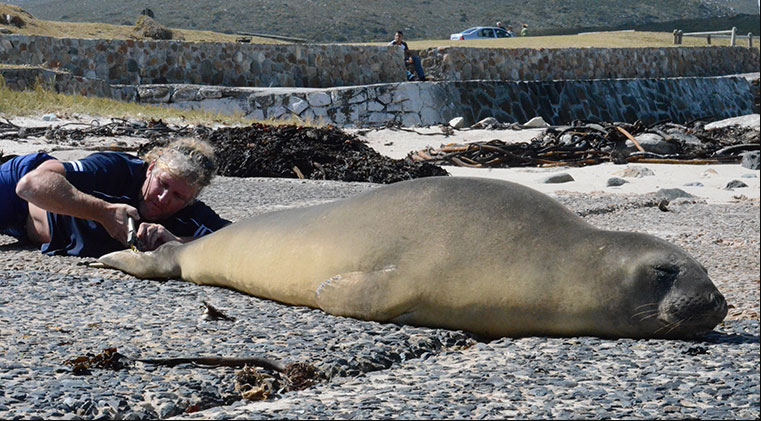 A Southern Elephant Seal born in Cape Point 2012. 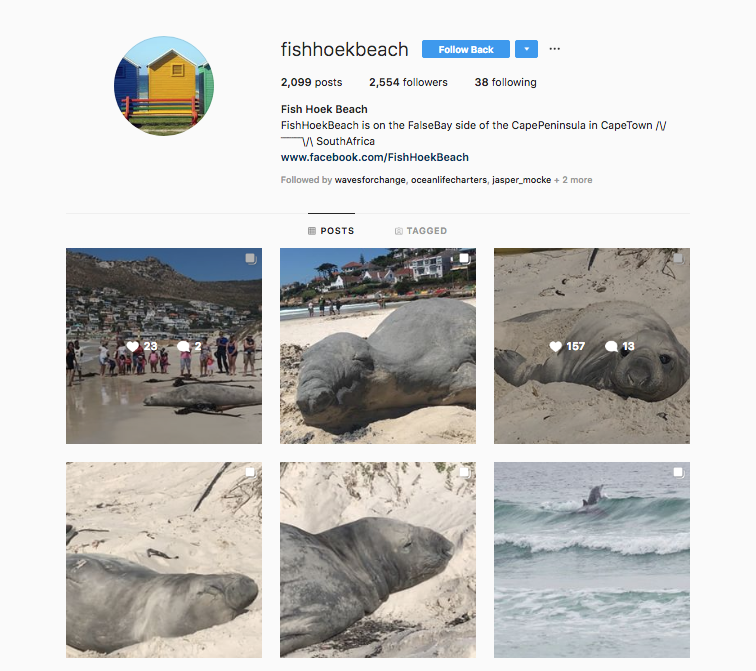 The most regular updates on Buffel and the happenings on Fish HOek beach come from this Instagram account @Fishhoekbeach. Go follow them and see what Buffel is up to.